If you are upgrading to version 5.4.2.0 from an earlier version of Squiz Matrix, it is highly recommended that you review the Important Changes & Notices section of this page. 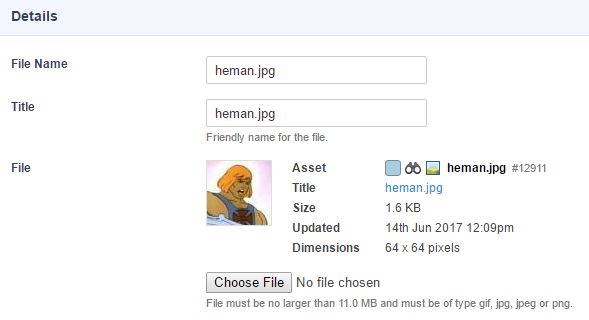 When using the Asset Finder in Edit+, you now get a small image preview when you hover over image assets. The preview includes the dimensions of the image and also works for image varieties. 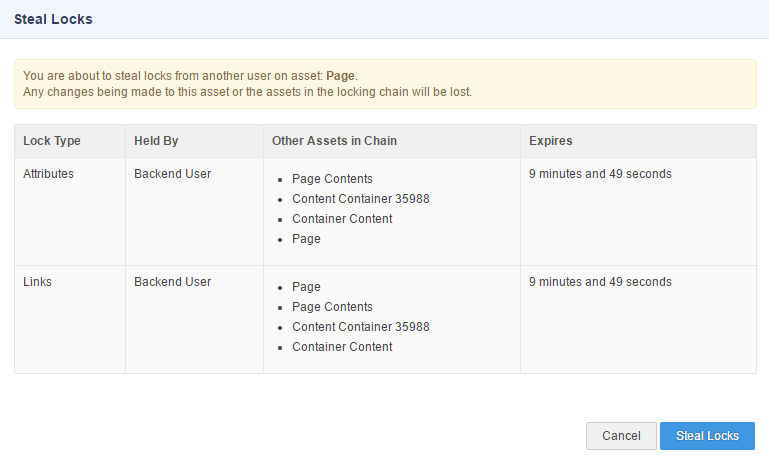 Asset tags found pretty much everywhere in the Admin Mode interface have received a visual touch-up. The blue info icon has been replaced with the coloured status square so that you can quickly see which assets are in which status. Hovering over this square now triggers the pop-up display of the More Info box. The asset type icon has also been included so that you instantly know what type of asset has been selected for any field. 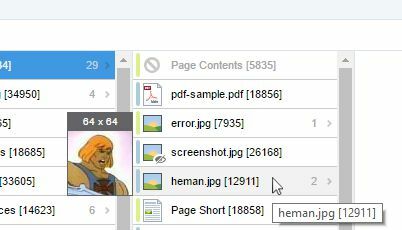 The thumbnail selector field now shows you a small preview of the image you have selected as the thumbnail. You can also click on the image preview to open the full preview of the image in a new window. The layout of the associated image information has also been improved. The same change has also been applied when viewing the details screen of image file assets. The locking info area at the top of each asset screen has been simplified to be less cluttered with unnecessary info. The "Show Lock Details" button now displays the locks table with direct links to the users who are holding the locks for each lock type. The same layout has also been applied to the locking info for the System Configuration screens. #10609 - Forcibly Acquire Locks Improvements and Concept Name Change to "Steal Locks"
The previously named "Forcibly Acquire Locks" feature has been renamed and received a small UI improvement. This concept is now called "Steal Locks", to make it clearer and better reflect what you are actually doing. When another user has the locks on a certain asset screen, and you have the access to steal those locks from them, the button for acquiring the locks will now say, "Steal Locks". The pop-up screen has also been simplified and the inaccessible and old CAPTCHA box removed completely. We've added the popular Select2 jQuery plugin to the Admin Mode interface in order to create more functional and user-friendly select fields. Over time, we'll start applying this functionality to various select fields all across the interface. The first place we focused on is the asset type selector fields. Previously, this list was huge and often included asset types that were incompatible with certain functionality that they were being selected for. Not only have we made the selection of these fields much better with the Select2 plugin, but we've also removed incompatible types for things like Asset Listings and Asset Builders. A brand new keyword has been added that lets you print all relevant information about an asset as a JSON object. This means you can now access any attribute of an asset, even if there is no specific attribute keyword for it. 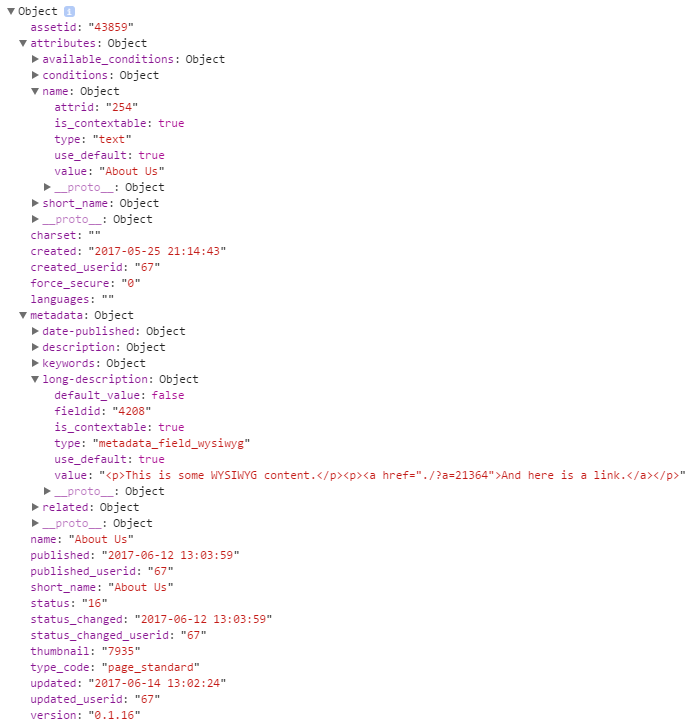 You can also use the ^index keyword modifier to print a specific value from the JSON data. 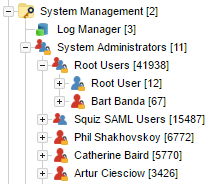 The Log Manager has received some functionality improvements and user interface changes. The Known Logs table layout has been improved so that the information is more easily digestible. 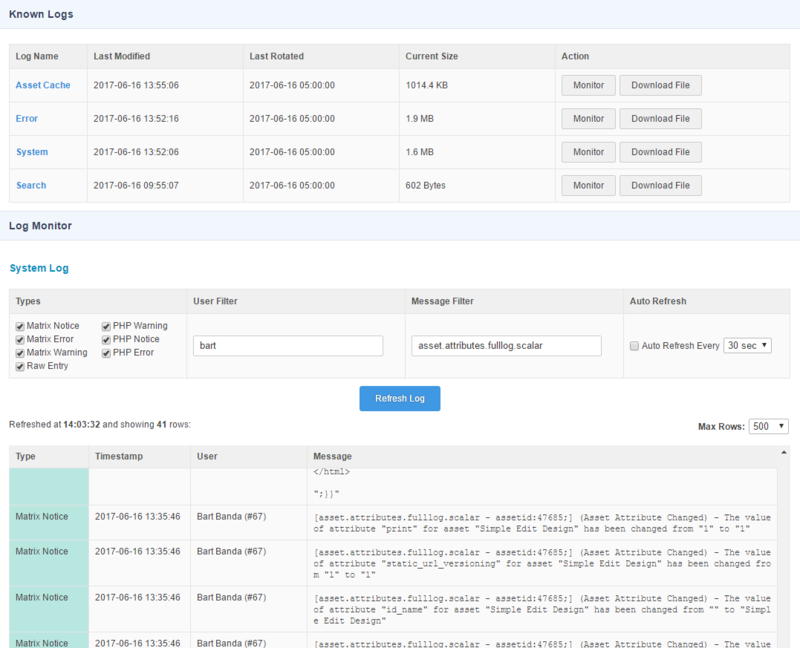 Once you click to monitor a log, you now have several filter functions for the log results including the type of log message to display and filters for the username and message content. 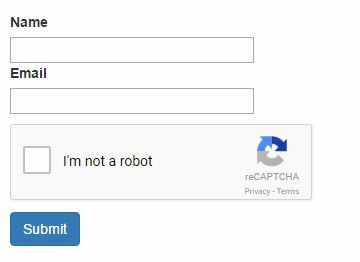 Integration support for Google reCAPTCHA Version 2 has now been added for all asset types that supported version 1 of the tool, including assets such as Custom Forms, Asset Builders, and Account Managers. Once you've added your keys from Google on the External Tools screen, you will be able to configure some options for it on the form's contents screen. Once enabled, it automatically gets added to the bottom of the form, just before the "Submit" button. You can of course also customise the positioning of it using keywords. A new Form Submission Action has been added to Custom Form assets in order to make Marketo integration more powerful. The action is called "Marketo Submit Form", and is used to trigger a true form submission from Matrix, into a form configured in Marketo. On the Details screen of Metadata Fields, there is now a field called Meta Tag Format. This field lets you completely customise the output of the metadata value when it gets printed using the Metadata Design Area or the %asset_frontend_metadata% keyword. 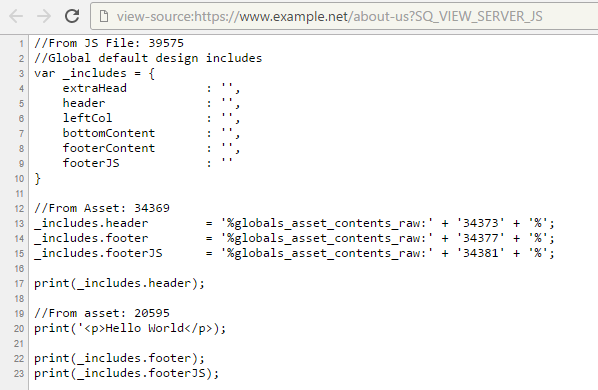 If you have Write Access to an asset, you can now append ?SQ_VIEW_SERVER_JS to the URL when previewing it on the front-end in order to see a full output of the JS code that was sent to the JS engine in Matrix. This is particularly useful if you are getting JS errors on the front-end that relate to a specific line number in your code, as you will be able to track down exactly which line the error is referring to. We've now added the same control for the CSS files. Previously this was a system-wide toggle that needed to be done on the Layout Manager. Now you can do it per Simple Edit Layout in order to have more control over what styles to use for your custom Edit Mode interfaces. Triggers are shadow assets, which means they previously couldn't be cloned like normal assets such as Standard Pages and Folders. We've added some custom handling for cloning of shadow assets which has made it possible for Triggers to be cloned using the same Asset Map cloning tools available to normal asset types. A brand new type of User Group has been added which is used to house all users requiring Root User Access to the Matrix system. The new group is automatically created under the System Administrators group under the System Management asset in the Asset Map on install. When you upgrade to version 5.4.2.0 or higher, the Root User asset will be automatically moved into this user group. Additionally, if your system has the Root User disabled, any existing System Administrators will be linked under this group when the upgrade script is run in order to retain their root access. This change allows for more control over which users should have root access to your Squiz Matrix system, even when the Root User is disabled. Only users with root access can move users in and out of this group and you can only place System Admin user types under it. This change also means that when the Root User is disabled using the setting in the main.inc file, System Administrators are no longer automatically granted root access. As part of the Root Users Group feature, System Administrator users now have access to edit other System Administrators. This was previously not possible, meaning that you had to log in as the Root User to reset another administrator or move other users in and out of this group. This change further reduces the need for more users to have Root User access to your Squiz Matrix system. Users who have been created in Matrix using the SAML or OAuth Account Manager asset with the Disallow Password Login field set to Yes, will now no longer have their password fields available for editing on their Details screen. Instead, there is a message saying that the user's password is disabled as they can only log in via the external authentication method they used to create their account with. Previously in Matrix, Metadata Schemas set on the Metadata Schemas screen on assets was never Safe Editable. Meaning that you could remove a schema on an asset whilst it was in Safe Edit, and if you cancelled the Safe Edit status, the schema would not get re-applied. This caused issues with Content Templates due to them being able to apply Metadata Schemas to Content Containers. So in order to fully support Safe Edit for Content Templates, we've had to make the schemas applied to any asset on its Metadata Schemas screen Safe Editable. This means you can now put a Standard Page (which has a Content Template applied to any of its Content Containers) into Safe Edit, change or remove the template from the container, and then properly revert the change if you cancel Safe Edit. The following features and functions have been removed from this version of Squiz Matrix. Please review the Squizmap reports for further information on each removal. #9236 - The Online Quiz Submission Logs page csv export does not update headers if Question Text is updated. #9296 - Security Restrictions Screen in User Group Assets should use Title of the type code to restrict with or instead of id. #9498 - 'Sort By' 'Metadata Field' in 'Parent Asset' group on 'Asset Grouping' screen of Asset Listing is allowing all asset types to be selected. #9645 - Viper toolbar Insert Keyword and Insert Snippet buttons when disabled still have mouse down state. #9858 - Calendar Events Search Page is not grouping by Metadata Field. #9885 - Deleting assets underneath search folder gives "Error: Unexpected end of JSON input"
#10499 - You can set any type of Design Asset as the Design in Asset Settings. #10647 - On force lock screen if commit button value is blank the button is empty. #10660 - Status controls not showing on redirect pages after setting status. #10756 - Matrix will not display the available fields(column) of the selected lists in Create Sharepoint list item form submission action, if field display name consists of single quote('). #10791 - Matrix will timeout if keyword used in Sharepoint List Item form submission action is not replaced successfully.